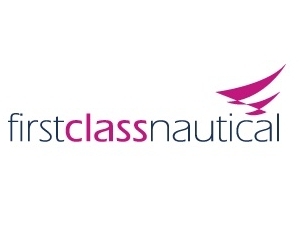 Welcome to First Class Nautical, market leaders in yacht appraisals, brokers and crewing throughout the world. Whether you are intending to sell your current yacht or considering purchasing an existing or new vessel it is imperative that you or any potential buyer knows exactly all the details of the yacht in question. We will independently inspect and test/trial any size yacht to provide a Vessel Information Pack (VIP) for you, for your broker to give to a purchaser or for you to review where no VIP exists when buying. First Class Nautical Ltd, well established supplier of technical services to the yacht industry, has enlisted the support of Denholm Barwil Ltd, to provide Port Agency services in the United Kingdom and around the world. First Class Nautical understands the particular needs of owners, Captains, charter agents and yacht managers of Superyachts. The in depth knowledge and familiarity allows FCN to meet the varied requirements in the UK. FCN has a number of preferred suppliers not just to service the vessel but the owners and guest requirements too. When arresting a vessel a quick, efficient and cost effective process is required, there are certain ports that are preferred for ships arrests, and courts give urgent attention to Admiralty claims. We have an expert and dedicated team who are available anywhere in the world 24 hours a day, having experience in arresting and selling on behalf of banks or marine mortgage holders. We have crews on standby to fly out to ensure the safety of the vessel.